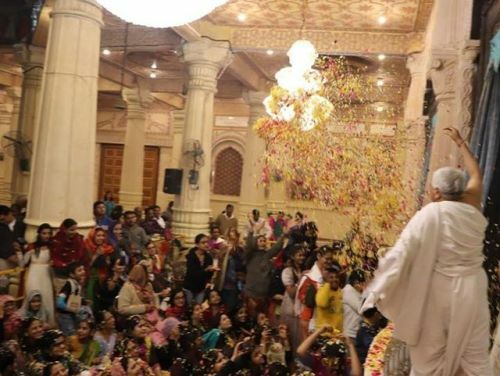 On 26th January, ISKCON Ahmedabad celebrated Pushya Abhishek mahotsava (flower festival). More than 15 different types of flowers were showered to their Lordships. More than 2000 visitors took darshan on this day. Deites were also dressed with different kind of flowers.